Kids know that the perfect pajamas can make or break bedtime. The “right” PJs make nighttime more comfy, relaxing and fun. They also tend to stay on well into the next day! So, whether kids and their parents are searching for PJs that boast exceptionally soft, breathable fabrics, hypoallergenic qualities or strikingly cool designs, The Giggle Guide™ has found the jammies that everyone will adore. Here we showcase some leading brands in the children’s sleepwear market: New Jammies, Dots and Dreams, Sara’s Prints and 37°. New Jammies’ colorful fruits and veggies pajama collection features apples, bananas, blueberries and peas and helps parents teach their kids the health benefits of fruits and vegetables. Nowadays, children are overly exposed to unhealthy junk foods. New Jammies inspires a love for healthy options and stays true to its cause to maintain a sustainable environment by using fair-trade 100% organic cotton for its pajamas. 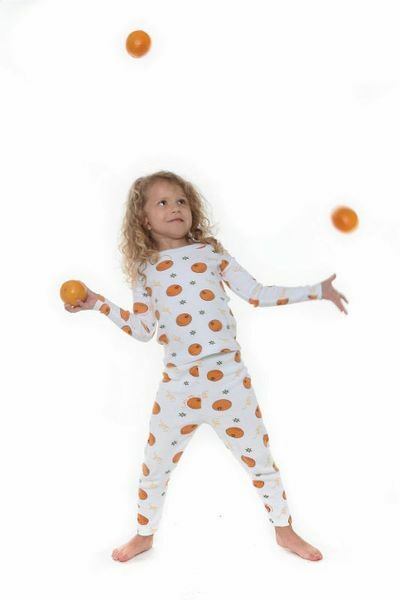 For sports fans, New Jammies also offers pajamas with soccer, tennis, swimming, and golf prints. Because organic cotton is not treated with toxic pesticides and chemicals, consumers can rest assured that clothes made from it are proven to be hypoallergenic and non-irritating. 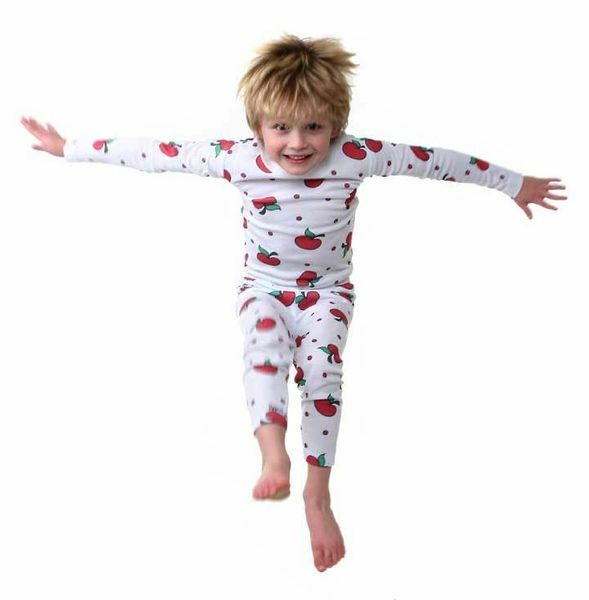 With New Jammies pajamas, only pure and gentle organic cotton is used. The pajamas for toddlers and young children range from $25 to $35 and one-pieces for infants are priced at $25. Dots and Dreams takes girls’ couture pajamas to a new level of style, with colorful fabrics and flattering cuts that are perfectly made for the silhouette of preteens and teens. Tie-dyed fuchsia lounge shirts, that practically scream the word “Dance”, get the girls in the mood to groove during slumber parties. Match that with über comfy hot pink shorts that are designed in the spirit of girliness, and trendy young ladies will definitely be cool in both comfort and fashion on summer nights. At the neighborhood sleepover, girls have fun chatting while wearing soft cotton slumber shirts that proclaim, “I Love Gossip.” Girls can also get cozy in bubble-gum-pink sweaters and pajama pants during cool autumn and winter nights. Dots and Dreams maintains a special mix of vibrancy and femininity in their couture sleepwear. Pajama sets retail for $47 to $50. 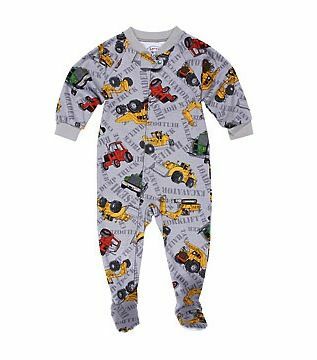 In the spirit of the Holidays, Sara’s Prints carries on the new pajama tradition with its prints of “Holiday Stripes,” “Christmas Lights” and “Smilin’ Snowmen.” For the summer, children can keep cool with short pajamas. Made from breathable 60% cotton and 40& modacrylic, the pajama fabric is expertly created to be inherently flame resistant. No irritating flame resistant chemical treatment has been used for the pajamas. Sara’s Prints keeps the quality, safety and comfort of its pajamas at the highest possible level. Short pajamas for boys are at $16.99-$26.00 and pajamas are at $24. Girls’ short pajamas range from $24-$34 and pajamas are priced at $34. Sleeping with a baby in the house is not always easy. With all of the nightly noise a little one makes, parents of a newborn may feel like they are perpetual guests at a loud slumber party! With this in mind, we decided to include a manufacturer that specializes in cozy sleepwear for infants and toddlers. UK-based 37° sleepwear is designed to keep an infant’s body temperature at an ideal 37° centigrade (98.6° fahrenheit). Featuring relaxing prints and predominantly white fabrics, these pajamas, playsuits, T-shirts, vests and blankets help children reach that “sleeping through the night” milestone sooner. With an innovative technological breakthrough in infants’ apparel, 37° has perfected the technique to create comfortable clothing, without skimping on style. Through the use of smart textiles, 37° produces a special kind of fabric that has the ability to absorb heat from children’s bodies during very warm weather and release it when the environment becomes colder, thus maintaining a normal body temperature. The clothes’ fibers contain microcapsules which serve as temperature sensors to react to fluctuations in body temperature. The clothes pass the Oeko-Tek standard which ensures that each 37° sleepwear does not contain any harmful substances. Endorsed by Sarah Ferguson, more and more consumers trust 37° to keep children sleeping comfortably. The 37° pajama sets are priced at £27($44) retail. Do you have a favorite children’s sleepwear or slumber party product to share? Comment below!